* Result may vary depending on each patient anatomy. Case # 1922..........................Age 51...................................Weight 125 …...................... Height 5’3” ….......................... 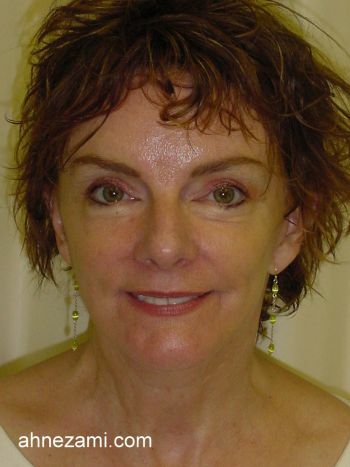 This patient resident of South Carolina was referred to Jacksonville Cosmetic Surgery center by her friend and patient of Dr. Nezami for face lift surgery. 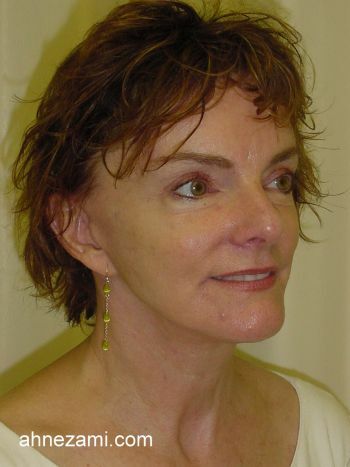 She was treated 5 years prior by Dr. Nezami for facial scar revision. 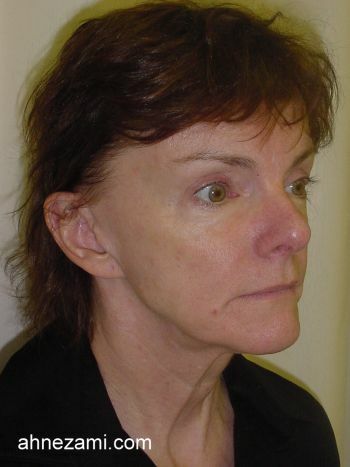 The patient was very happy with the natural looking result of her face lift. 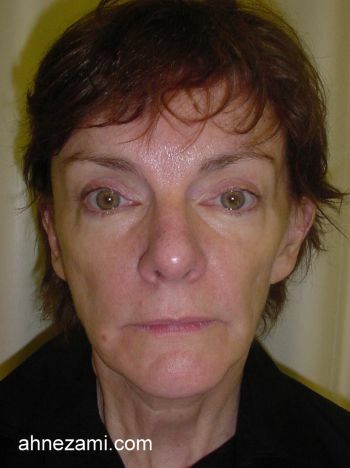 Few years later she came back to Dr. Nezami’s practice for upper eyelids surgery. She was very pleased with her eyelids surgery and referred two of her friend to Dr. Nezami’s plastic surgery practice shortly after. She reside now in Jacksonville, Florida and is a regular patient of Jacksonville Cosmetic surgery for filler injection and Botox.